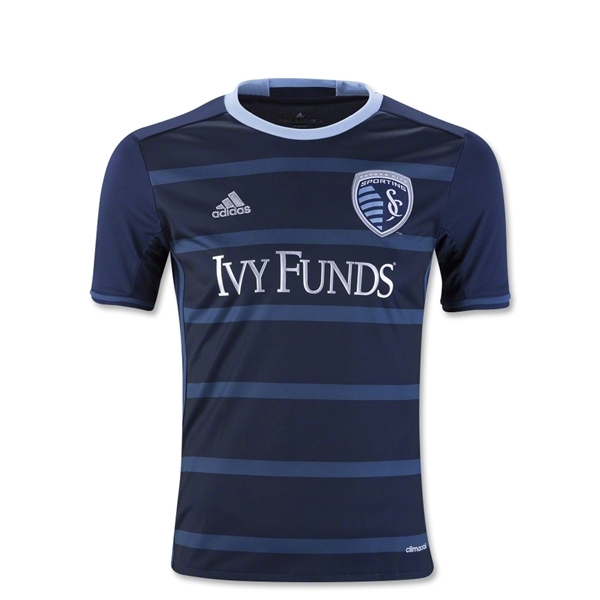 Sporting Kansas City is an original member of Major League Soccer, and winner of MLS Cups in 2000 and 2013. The new away jersey is indigo blue with light blue horizontal stripes, inspired by the original stripes worn by the club. Logos are accented in silver. adidas stripes run down the sides. ClimaLite technology keeps sweat and heat from the body. 100% Polyester.